Dawn of the Dead (1978) is one of those films that fall into the category of virtually non-criticisable, such is the love for George Romero’s zombie classic. 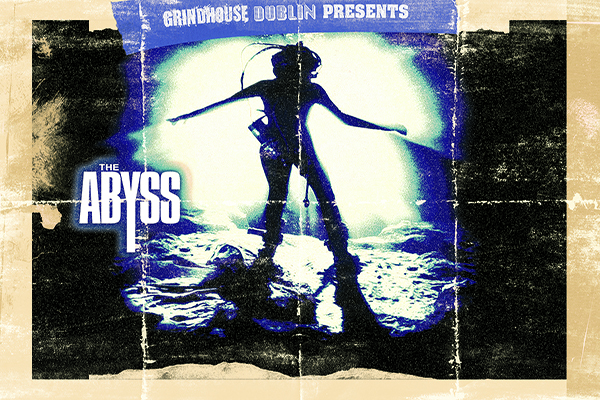 In many ways it could be argued that it is as near to perfection as a Grindhouse film is likely to get, but it could just as easily be argued that it is a wholly unnecessary sequel to a horrific, more culturally significant original. It’s debatable if this or ‘Night of the Living Dead’ is the greater, more influential zombie film, but one thing is for sure, this sequel is the better Grindhouse thrill-ride of the two. Law and order through-out America has collapsed due to the spread of reanimated corpses attacking the living. Flight pilot Stephen (Emge) and his pregnant girlfriend Francine (Ross) are joined by Roger (Reiniger) and Peter (Foree), two SWAT team members, as they fly to a shopping mall for food and ammunition supplies. Dawn of the Dead was and always will be a hugely enjoyable Grindhouse classic. It is enlivened no end by its Goblin produced soundtrack, but where the film stands out as a real masterpiece is through George Romero’s direction. From its breathlessly paced action, through to it groundbreaking gore, as well as its quotable dialogue and thought provoking socio-political commentary - all greatly supported by terrific performances; this is the work of a true master filmmaker. 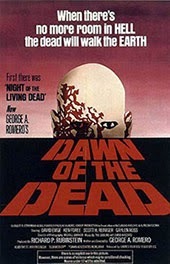 There are a variety of versions of Dawn of the Dead; a U.S. theatrical version, which is supposedly George Romero’s preferred edition, the extended European cut, as well as the producers cut. Each version has its own merits, but Grindhouse aficionados will want to check out the latter version, edited by horror maestro Dario Argento. This has a tighter running time and more of Goblin’s incredible soundtrack. Last, but certainly not least, the influential special effects by the legendary Tom Savini can more fully be appreciated in Argento’s cut, which dispenses with the exposition in favour of getting to gory goods! This is all topped off by one of the single greatest poster tag-lines ever; “When there is no more room in HELL, the dead will walk the EARTH”. Dawn of the Dead is a genuine Grindhouse masterpiece, plain and simple.